Last December, Twitter launched a new interface with the familiar goal of “enhancing the user experience.” At the same time, it announced its very own brand pages, a feature marketers had been anxiously awaiting for quite a while. Bing and Coca-Cola were among the test group fortunate enough to first get their hands on these enhanced profiles, and from the looks of it, they could be available to the whole business community very soon. Twitter’s enhanced profiles are similar to the brand pages launched by competitors Facebook, Google and, more recently, Foursquare. Like the pages found on other social networking sites, these super duper profiles provide a way for brands to highlight their content and take their Twitter presence to an all new level. The enhanced profiles stand out from their standard counterparts right away with space for an eye-catching 835 x 90 header image reminiscent of Facebook’s Timeline Cover Photo. Users also have the luxury of adding a tweet labeled as “Promoted” at the top of their page. Twitter initially rolled out its brand pages program to a select few companies - twenty-one of the platform’s top advertisers, to be exact. As the rumor mill tells it, these were brands that spent a total of more than $2 million on each of their advertising products for the current year: Promoted Tweets, Accounts and Trends. Right now, the going rate for the new pages is said to be $25,000. That is actually pretty cheap compared to Promoted Trends, which was reported to cost brands around $120,000 a day. The new enhanced profiles look very attractive, but jumping on this bandwagon is not necessary to make the most of your Twitter presence. After all, being free to use is a big part of what makes the site such a great marketing tool. Brands can go far on the microblogging platform by simply getting to know the corporate rules of tweeting. Giving a half-hearted effort at Twitter is not going to cut it. One brand that really seems to get it is Best Buy. The consumer electronics giant has approximately 3,000 employees ready to respond to tweets sent to its Twitter help desk, workers who signed on specifically for this one task. As a result, Best Buy has been able to use the site to provide quality customer service without any major public relations issues for the better part of two years. Something like this may not be practical for all businesses, but it does highlight the importance of being dedicated to your company’s presence. One significant advantage Best Buy has given itself with a staff of 3,000 Twitter help desk members is the ability to quickly respond to inquiries. This is critical in the tweet world because, let’s face it, the entire phenomenon is built around brief, fast communications. Users can wait a day or two to hear back from companies via phone or email. Make them wait too long and the point of connecting via Twitter is defeated. 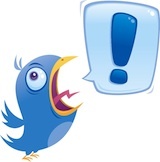 Brands using Twitter as a marketing tool must keep their voices consistent across all communications. This requires a concerted effort on the part of all team members involved in the process. A good example of a brand using a team-orientated tweeting strategy is Southwest Airlines, which has roughly 10 employees sending updates throughout the night that coordinate with the airline’s flight schedules. Whether it is several employees or a single employee handling tweets, all stars within your organization must be aligned on the same page to maintain that consistency. Social media experts are expecting brands to embrace the upcoming enhanced profiles with open arms. Be that as it may, it should be comforting to know that Twitter offers several other ways to enhance your presence and make an impact.